The I.D. concept previews VW brand's first purpose-built EV. SEOUL -- LG Chem has denied a media report that it has signed a 7 trillion won ($6.20 billion) deal to supply electric vehicle batteries to Volkswagen Group. The DongA Ilbo newspaper reported on Tuesday that LG would be the battery supplier for Volkswagen's new range of electric vehicles based on the new MEB architecture. 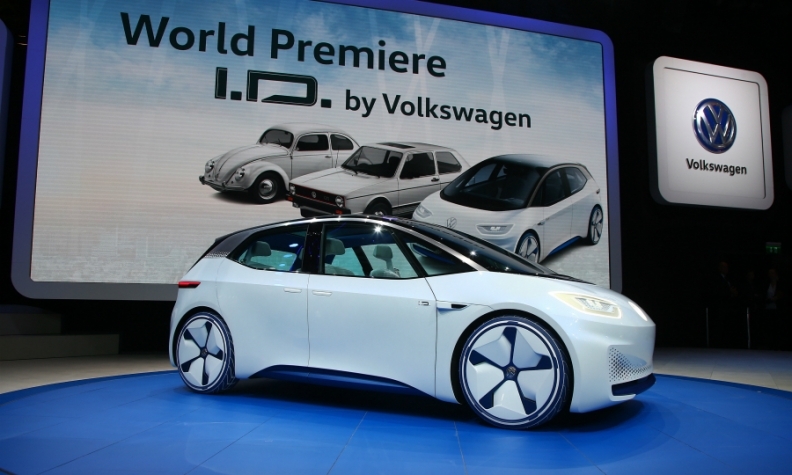 VW brand currently sells electric versions of its Golf and Up cars, but in 2020 plans to launch its first purpose-built EV, a Golf-sized hatchback based on the I.D. concept unveiled at the Paris auto show in October. "No contract has been agreed on," LG said in a regulatory filing. The firm declined to comment on whether it was in talks with VW to supply batteries for the project named in the DongA report. Volkswagen could not be immediately reached for comment. LG Chem already supplies batteries to Volkswagen as well as other major carmakers such as General Motors and Renault.